The game of Cricket has been the staple of British sporting appetite for hundreds of years. This somewhat slow paced and leisurely game has dominated the summers of many British boys and men. 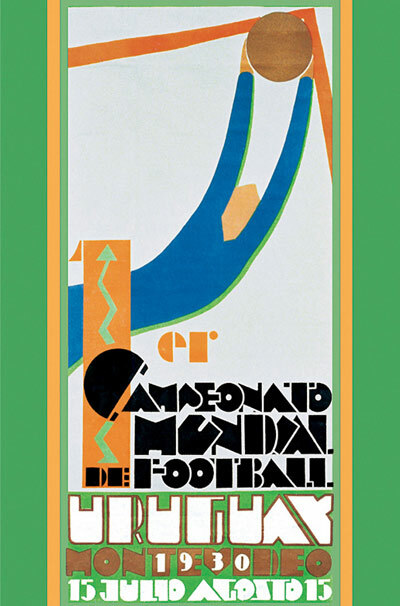 However a hundred and twenty five years ago this March another summer game was selling its wares across the world and in the spring it came to Liverpool. The origins Baseball at this time was built mostly upon myth and legend but what was a fact was the growing appeal for a quicker and easily understood game. Albert Spalding perhaps Baseball most important pioneers saw that he could export the American game to countries who for the most part played Cricket. Starting in Australia in 1888 he took his Chicago White Stockings and an All American team to Cairo, Naples, Paris and Dublin. By 1889 the tour was coming to close to its finish and after failing to get his exhibition game played in the Coliseum in Rome Spalding brought the team to London to play at the Coliseum of Cricket the Oval. 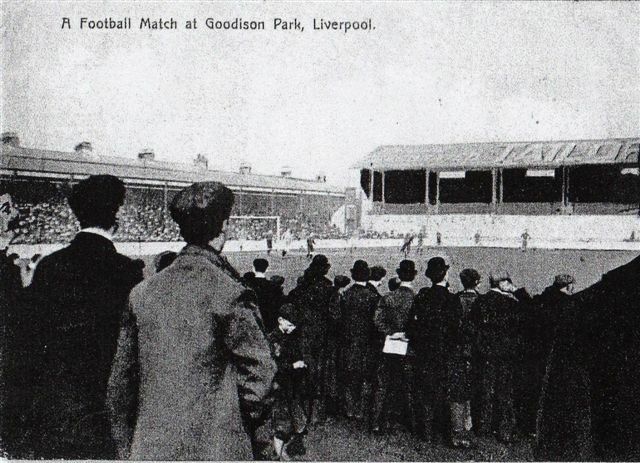 By the time the Americans arrived in London the story had been picked up by the Liverpool Echo looking to promote the later game which would take place in the city. 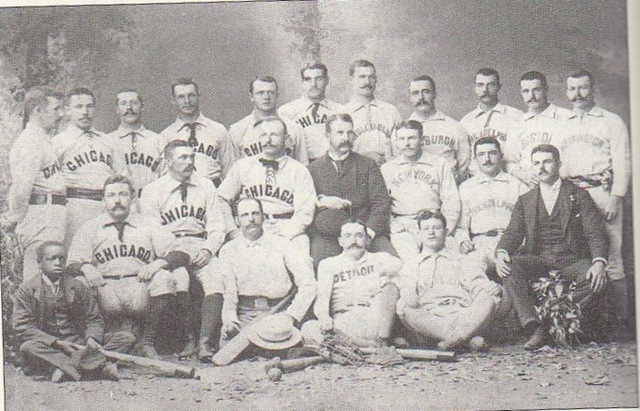 For many in the country Baseball was not taken seriously as game being described as ‘…merely an elaboration of Rounders’ by the Daily Telegraph. 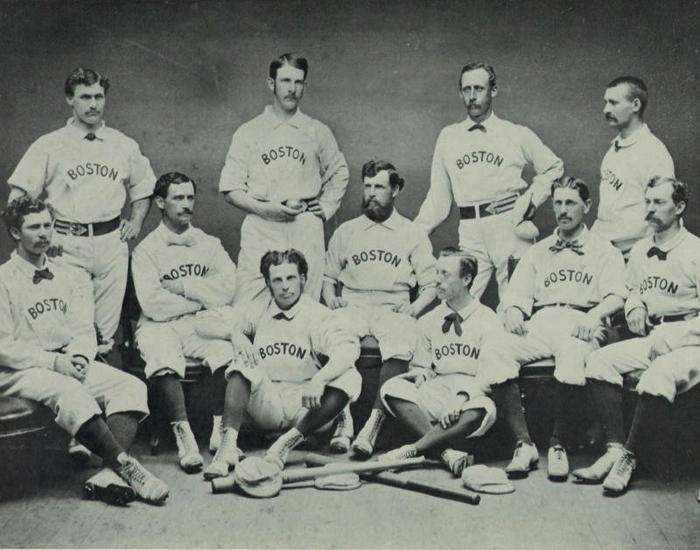 However one major difference between Baseball and all British sports was the professional nature of the game. The same year the Americans came to Liverpool the first professional players especially in football were emerging. With salaries for £400-£600 being earned on the American teams some feared football heading the same way. The Exhibition tour had been fairly straight forward as the two American teams simply played one another. However in Liverpool a slightly different opportunity presented itself as the Liverpool Rounders Association offered to play the Americans. 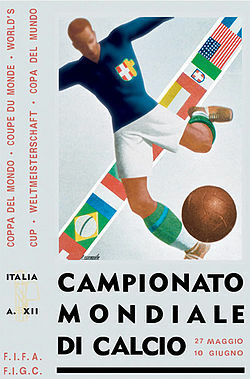 With the Liverpool team offering to play the Americans the game instantly became an international fixture. The two sides were to play two games one of Rounders and one of Baseball with a large crowd expected to see whose game was the better. The Liverpool Echo stated around five thousand turned out to the Police Athletic Ground in Fairfields to see the spectacle of the day. Before the games against the Liverpool Rounders Association however a game was still to be played between the Chicago White Stockings and the All American team. The Liverpool Echo describe the Baseball players as ‘…splendid specimens of trained men…’ which had it was said attracted many ladies to the game. The two teams got underway but after only five innings the game was interrupted with the score standing at 2-2. The interruption was caused -whether intentionally or not- by the appearance of the Liverpool Rounders Association to the field. The arrival of the ‘internationals’ -as the Rounders team were referred- led to the American’s abandoning their game. The first match between the internationals and the Americans was to be Rounders which according to the Echo the away team didn’t take very seriously. The home fans felt they had the advantage and many were offering substantial odds on the internationals beating the Americans. Sufficed to say the home fans were not disappointed as the Americans were all out in the first innings for six whereas the internationals notched up 16 in their first inning. The second inning saw some improvement from the Americans but they still only managed to score eight which saw the internationals win 16-14 after playing only one of their innings. For the Americans however the Rounders match was of little concern and the Baseball game was the time to be serious about the competition. The ‘tricky Yankees’ however seeing how lost the British were at the game coached the international team through the match. However after four innings without a single international player hitting the ball the Americans won 17-0. The report in the Liverpool Echo was right that Baseball would never over take cricket in the city but the games legacy was to live on. After the game small Baseball leagues have existed in the Merseyside area and the 1930s the game was major summer sport with teams such as the Liverpool Giants and the Wirral team the Caledonians dominating the sport. A hundred and twenty five years later Baseball still has a foot hold in the city as the Liverpool Trojans prepare for the 2014 season in Bootle. Over the summer one of the great names in Merseyside Football passed away but his achievements will always be remembered. 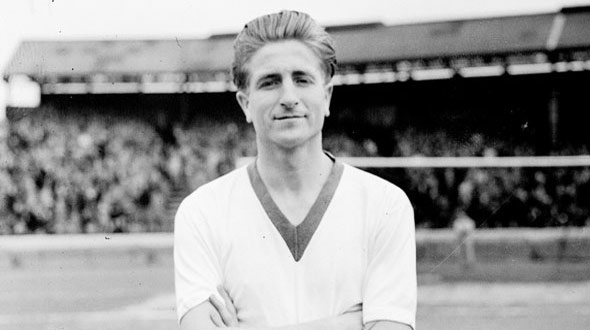 Dave Hickson held the rare achievement of playing for Everton, Liverpool and Tranmere during his career. However he was not the only player to have played for all three Merseyside teams. For a man who spent the majority of his playing career in Merseyside Dave Hickson was originally from Salford. As child however he moved with his family to Ellesmere Port were he started his Football career. Ellesmere Port Town had already produced the likes of Joe Mercer and Hickson would soon be added to the list of Ellesmere Port greats. Like Mercer Hickson joined Everton in 1948 but didn’t make his debut until 1951 as he was called up for National Service. Whilst in the Army he came across the Tranmere and Everton legend Dixie Dean who was coaching the Cheshire Army Cadets team. When Hickson made his debut for the then Second Division Everton side he became an instant favourite with his physical style of Football. By 1954 Hickson’s efforts helped Everton back into the First Division but to much surprise Hickson was sold to Aston Villa. 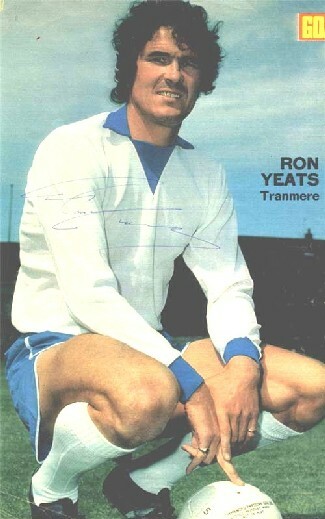 He never settled at Villa and after a short spell under Bill Shankly at Huddersfield Town he returned to Goodison Park. Hickson however couldn’t find his original form and was sold to the club across Stanley Park, Liverpool FC. Everton fans were in despair at one of their favourites signing for their biggest rivals. Hickson however let his football do the talking scoring twice in his Anfield debut. By 1961 Hickson was 32 and the then Manager Shankly had to let Hickson go for younger blood. After spending a limited time with Cambridge United and Bury Hickson found himself at Prenton Park. Originally joining Tranmere in July he played in the Reserves in the Cheshire League. Record attendances were achieved at the Reserve games as 10,000 fans were recorded at each game as everyone wanted to see the Merseyside legend. Hickson’s age however caught up with the player who only made 52 appearances for Tranmere but he still scored 25 goals. After Tranmere he returned to Ellesmere Port and became a bookmaker. Hickson had played for all three Merseyside clubs but he was not the first as that accolade fell to a goal keeper Frank Mitchell. This Scotsman started his career in Merseyside at Everton but struggled to beat Elisha Scott for the first team position. He joined Liverpool in 1920 but didn’t make his debut until the February of 1921 and only made 18 appearances for the Reds. After breaking his wrist in a Reserve game in 1923 he moved across the River to Tranmere Rovers. His first game for the Wirral club was against Grimsby which Tranmere won 2-1. 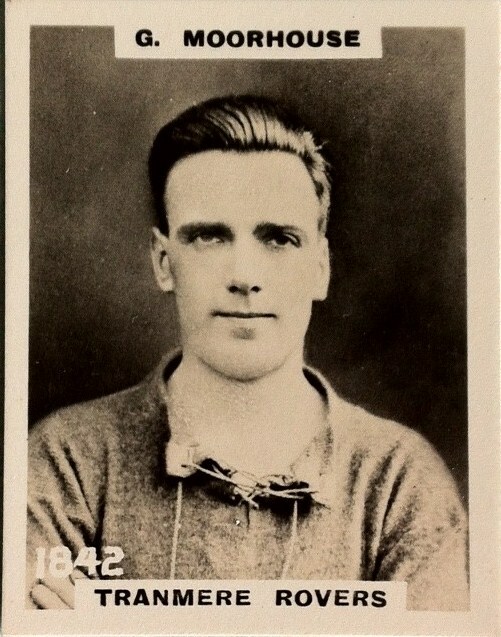 Little fanfare was made of the goalkeeper with his only mention in post match reports being ‘…Carmichael, the Grimsby Centre man nearly had Mitchell beat after the Ex Evertonian had misjudged a centre from M’kenna.’ In all Mitchell made 55 appearances for Rovers and left the club in 1925. 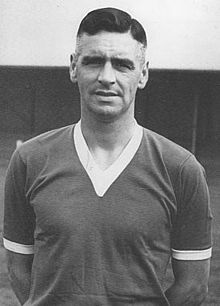 The third man of Merseyside was John (Jackie) Heydon, who like the Hickson and Mitchell started out with Everton Reserves in 1946. The Birkenhead lad however soon moved onto Liverpool in 1949 but had to wait until 1950 for his debut at Anfield. 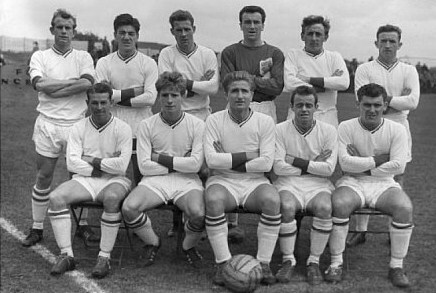 After making 67 appearances for Liverpool he moved to Tranmere in 1956 where he made 76 appearances and scored one goal during his time at Prenton Park. These three men all had differing success during their playing careers but each can truly claim to be a Merseyside man, representing all its colours.